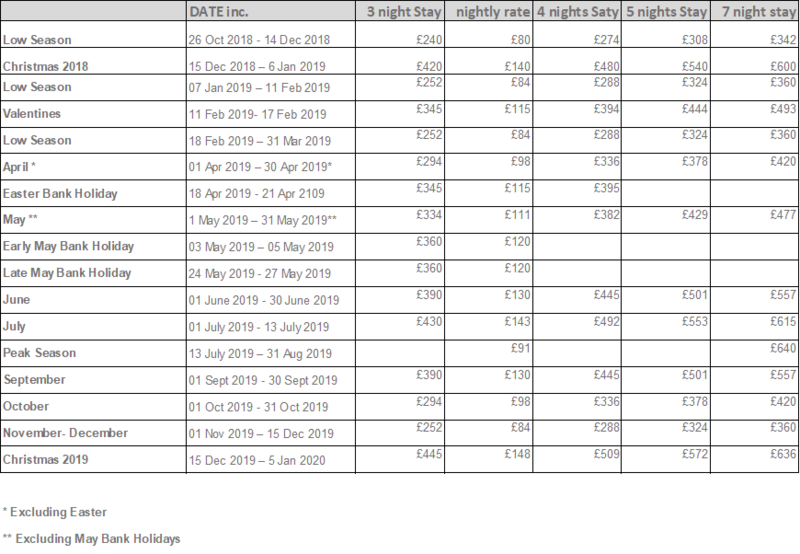 You can find Availability Calendars and Rental Rates for the whole of 2019 below. Please check dates before you make and enquiry. For prices beyond 2019 please contact us via the ‘Contact Us’ page. 50% of the full rental price is required at the time of booking if booking 16 – 8 weeks in advance. We request a damage deposit of £150 to be paid 7 days prior to arrival.